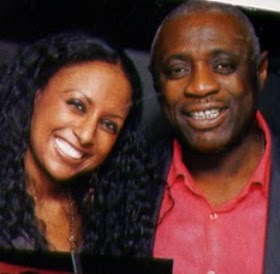 Chief Olu Priddy, the father of popular Lagos socialites, Oona, Louise, Dean and Sean has died. He died on Thursday July 14th in a hospital in the UK after battling cancer for a while. To his children, remember your father with only love and fondness. He is part of you always, in your heart where your real memories live. Oh noooo :(( I love them.. RIP sir..
May his soul rest in peace...I pray the good lord grants the family the fortitude to bear this painful loss. Awww, how sad! Nice jolly fella. May his Soul rest in pefect peace. that's sad. i'm quite sure it might be lung cancer. sad. How sad to hear about this news, although I have never heard of the kids. I know this is not the most appropriate place nor even the time to bring up this issue but why, why, why can't we Nigerians get our acts together and provide better health care for our citizens?? Instead Nigerians are having to spend their hard earned money to receive treatment overseas. May he rest in peace. He was a correct guy and loved his family to bits. Kiki; He was from Lagos state. Rest in peace Mr. Olu Priddy. Olu Priddy was from Lagos State but had Ghanaian roots.